Happy Monday, friends! Today on the blog I'm excited to share this fall look! 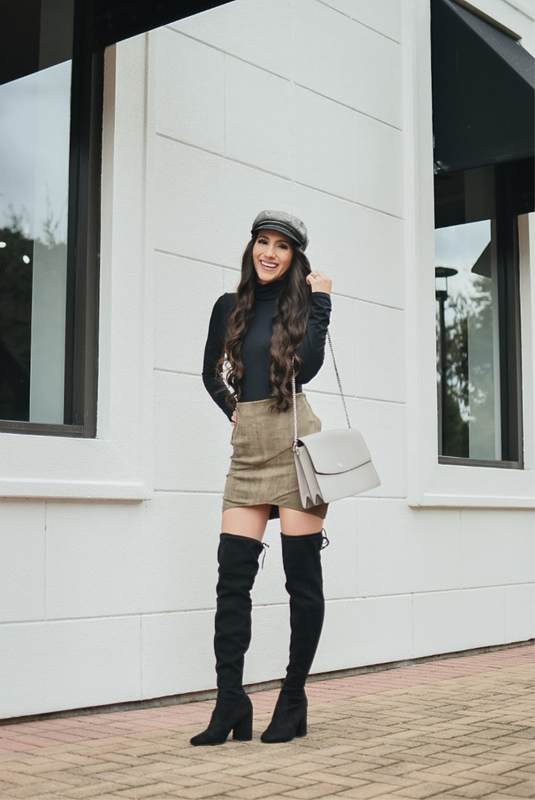 This is a super easy look for fall that I find myself going back to again and again. I just pair a long sleeve bodysuit with a suede skirt and thigh high boots. I even threw on this fiddler hat to add a little something special to this look. This is a super chic look you probably recreate with clothes you already own! If you don't have a bodysuit or suede skirt I have you covered. The turtleneck bodysuit I'm wearing is only $15 and will be a staple piece for me this fall. 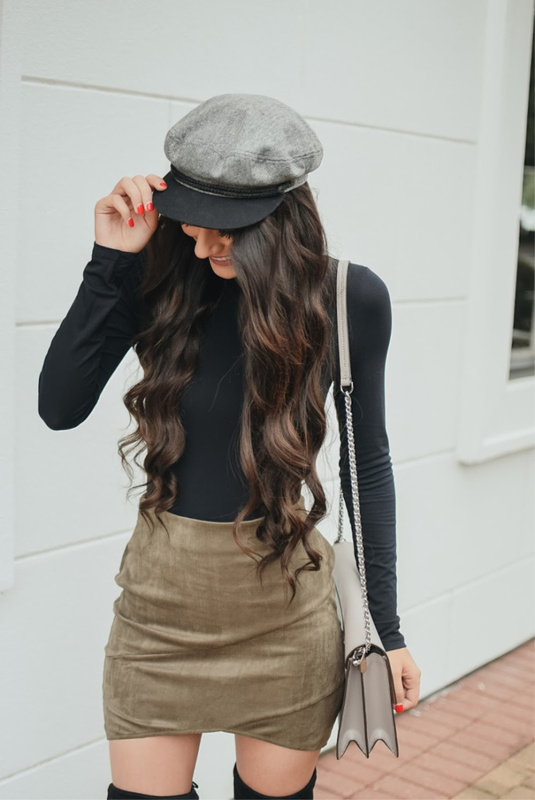 My suede skirt is only $27 and is the perfect shade of green! I've linked all other products at the bottom of this post for ya'll to shop. Next week Isaac and I head out for our trip to Colorado and Arizona. I'll be taking a ton of outfit pictures and sharing a lot about where we'll be staying so stay tuned for more posts!